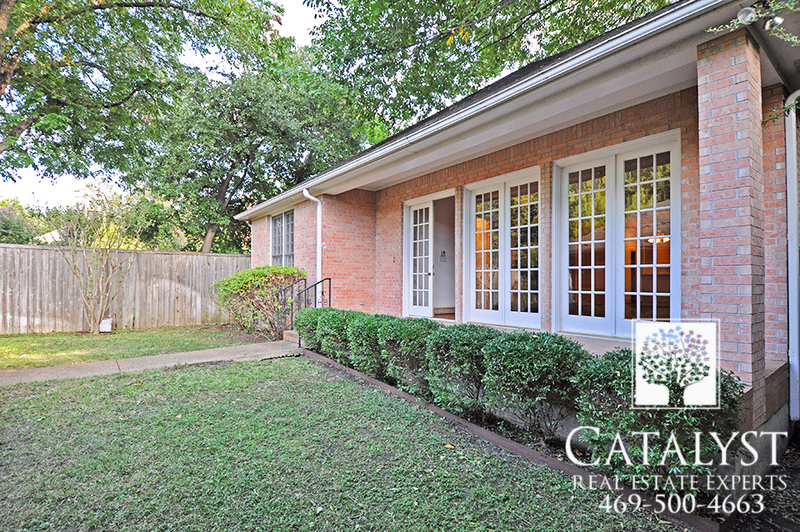 Catalyst Real estate Experts Just Listed this Gorgeous Home in Highland Park, TX. 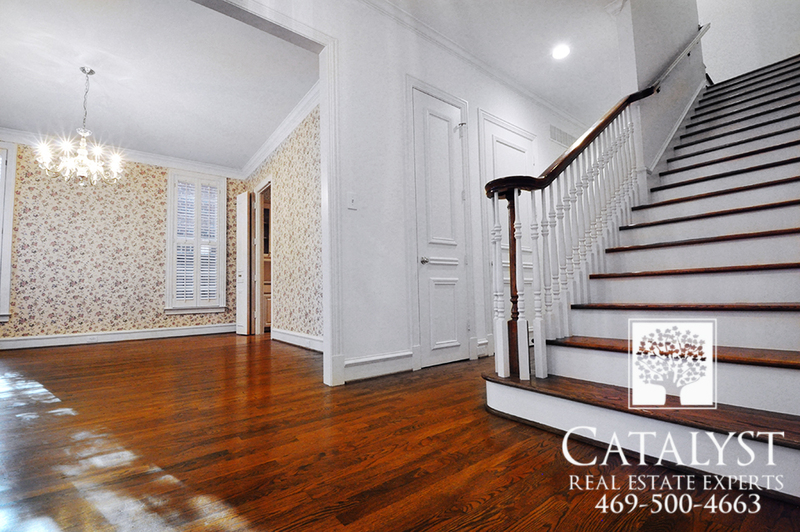 Original hardwood floors in pristine condition. 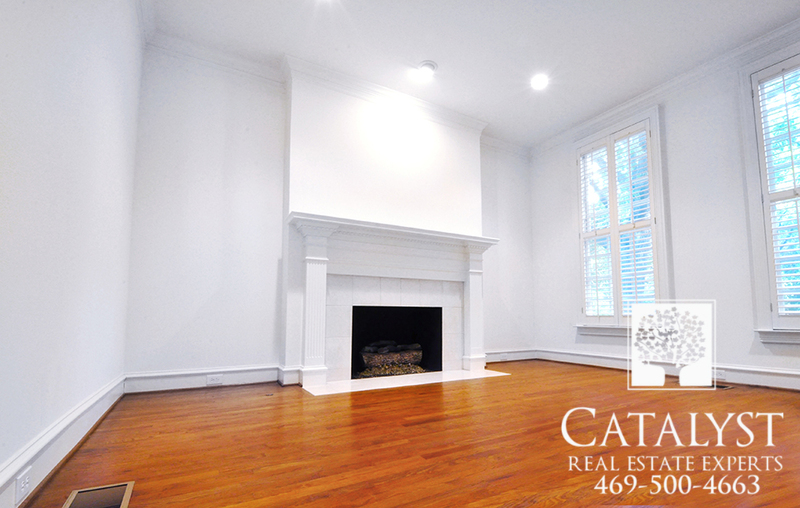 8 ft doors, 6″ crown molding, plantation shutters, and built-ins galore. Generous formals ideal for entertaining. Spacious master bedroom suite and 2nd master downstairs. 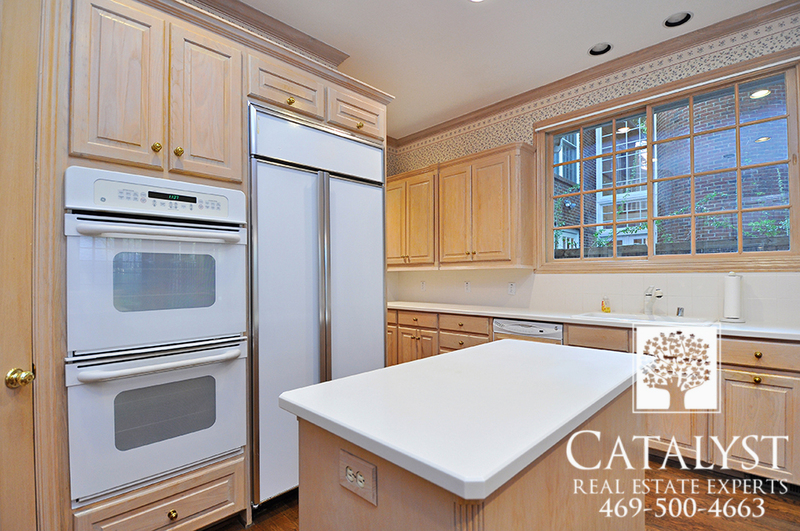 Butlers pantry, double oven, 2 gas fireplaces, floor-to-ceiling windows, and abundant storage. This home has been cared for like you wouldn’t believe! A few updates and you’ll have your dream home in a dream location! Highland Park has earned a reputation for having some of the most expensive property prices in the Dallas area. Average Market price is $2,730,687. Currently there are 81 homes for sale in Highland Park, TX. The land now known as Highland Park was bought by a group of investors from Philadelphia, Pennsylvania, known as the Philadelphia Place Land Association, for an average price of $377 an acre, with a total of $500,000. Henry Exall, an agent, intended to develop the land along Turtle Creek as Philadelphia Place, exclusive housing based on parkland areas in Philadelphia. He laid gravel roads, and dammed Turtle Creek, forming Exall Lake, before the Panic of 1893 brought a blow to his fortunes, halting development. Afterwards, he began a horse breeding farm. In the 1890s, Exall Lake was a common picnic destination for Dallas residents. In 1906, John S. Armstrong (the former partner of Thomas Marsalis, the developer of Oak Cliff), sold his meatpacking business and invested his money in a portion of the former Philadelphia Place land, to develop it under the name of Highland Park. He chose this name as it was located on high land that overlooked downtown Dallas. Wilbur David Cook, the landscape designer who had planned Beverly Hills, California, and George E. Kessler, who had previously planned Fair Park and most of downtown Dallas, were hired to design its layout in 1907 “as a refuge from an increasingly diverse city.” Notably, twenty percent of the original land was set aside for parks. A second development in Highland Park was developed in 1910. In 1913, Highland Park petitioned Dallas for annexation, but was refused. The 500 residents voted to incorporate on November 29, 1913, and incorporation was granted in 1915, when its population was 1,100. The first mayor of Highland Park was W. A. Fraser. A third and fourth development were added to the town in 1915 and 1917, respectively. In 1919, the city of Dallas sought to annex Highland Park, beginning a lengthy controversy that lasted until 1945. J. W. Bartholow led the fight to resist the annexation. The final major land development occurred in 1924. In 1931, Highland Park Village was constructed, the firstshopping center of its kind in the United States. Because of its location near Dallas, Highland Park had, by the early 1930s, developed a moderately large (8,400) population, with a few businesses. Eventually the school districts and newspapers of Highland Park and University Park were combined. In the 1940s, after the failure to annex Highland Park, Dallas began annexing the land surrounding it. Reaching a population high of just under 13,000 in the late 1950s, Highland Park afterwards grew only by building houses on the remaining vacant lots, and by the destruction of old buildings. Since 1990, Highland Park has maintained strict zoning ordinances. Known for its quality housing, the town still has many parks running along Turtle Creek and is home to the Dallas Country Club. Highland Park became somewhat famous in the early 1980s when the popular television show Dallas used to shoot on location there. The 2012 TV series GCB took place in the fictitious “Hillside Park”, which is likely a stand-in for Highland Park; however, the residence in the show where the mother of the main character, “Amanda Vaughn”, lived is actually located in East Dallas. McKinney Texas – The best place to live in America! America is a country full of diverse cities and has a vast of great places to live in. Choosing the best place for you and your family to live in is no simple task. But luckily Time Inc’s Money magazine did the job of finding out the nation’s top small cities with populations between 50,000 and 300,000. Guess what, our very own – McKinney, Texas top the list. With its small town feel and charm this friendly place was ranked as the best place to live in America! Located just 30 miles north of Dallas this is one of the fastest-growing cities in America. Don’t be fooled by McKinney’s homey Southern charm because actually it is a thoroughly modern city. The area is a hotbed for growth-industry jobs. Companies in green energy, aviation, and medical services have already moved in the region and other Fortune 500 companies are just 15- to 45-minute commute away. The downtown area offers a mix of art galleries, boutiques, and farm-to-table restaurants, farm-supplies stores and a lot more of unique shops to choose from. Career and college prep are also big in McKinney’s schools. Housing options range from restored Victorians to Texas-style mansions With three-bedrooms averaging in the low $200,000s, the price is still right, though the market is heating up according to Time Inc. 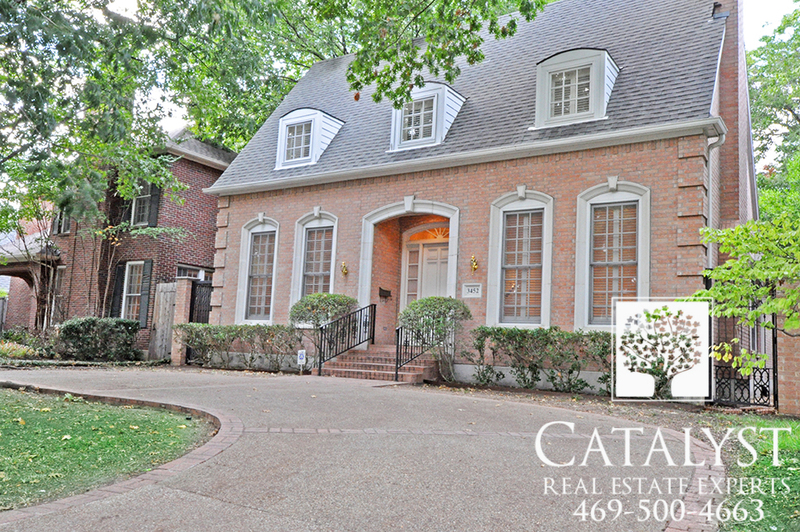 This city offers excellent schools, beautiful parks and open spaces. Best of all are affordable and diverse housing with plenty of jobs and a vibrant downtown, what else are you looking for? The further expansion of the nationally-known insurance chain, State Farm Insurance Company is no secret. Headquartered in Bloomington, Illinois, State Farm Insurance is expanding its hub development in Arizona, Georgia and Texas. A 1.5 million-square-foot campus is under construction in Richardson, considered already the biggest office development underway in North Texas. But apparently it’s still not big enough since Developer KDC is adding a fourth, 500,000-square-foot office tower, which will also be leased to the insurance giant. 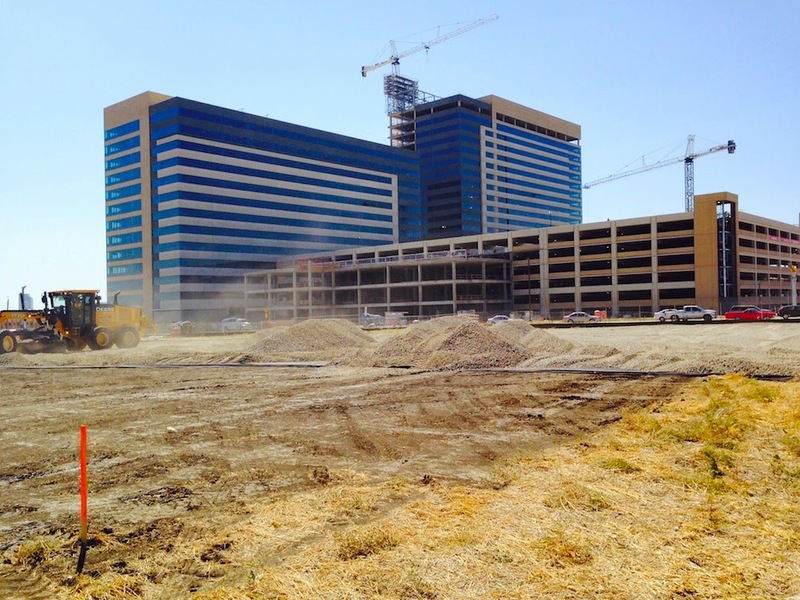 Work has already started on the east side of Plano Road and the office tower is scheduled to be completed in mid-2016. At the southeast corner of Plano Road and Bush Turnpike are also planned additional retail space and apartments. Early this year the State Farm Insurance moves forward with another round of hires as it staffs its regional headquarters in Dallas-Fort Worth. 200 part-time positions are filled focused on customer service, claims assistance and sales support needs for State Farm. State Farm will take possession of one of the buildings at the end of this year. And thousands of workers will start relocating to the buildings in Richardson early 2015. “This expansion positions State Farm for the future as we grow to meet changing customer needs and expectations,” Mary Crego, State Farm senior vice president, said in a statement. What does it mean to you as a homeowner? That there will be thousands of buyers wanting to buy in your area, making now the time to take advantage of today’s market! Who says buying your own place for the first time is that easy? For first time buyers, its both exciting yet crucial to know what things they should keep in mind before finally purchasing their very own home. 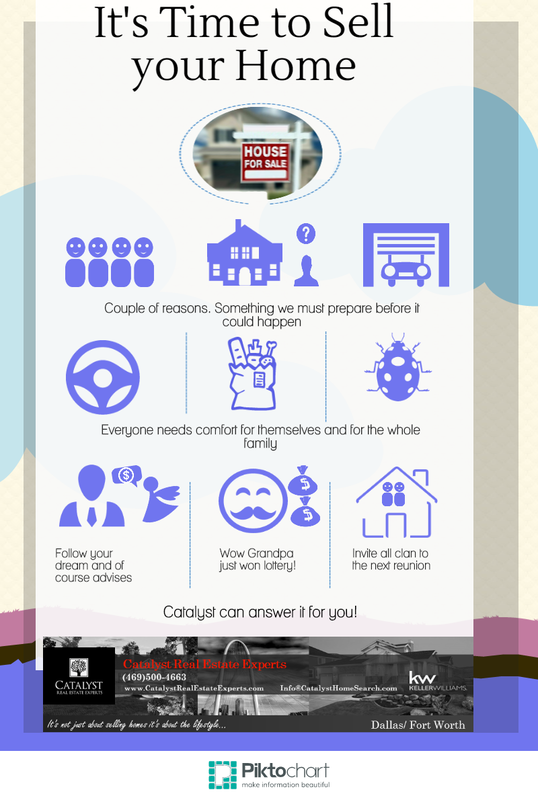 It is important for a homebuyer to consider his lifestyle. One needs to purchase a home that fits his needs and preference of a house you are trying to buy. Is your salary enough to pay for the mortgage and insurance for the house? Are ok with the suburban type of environment or would you prefer to be in a quiet neighborhood or a house close to nature? 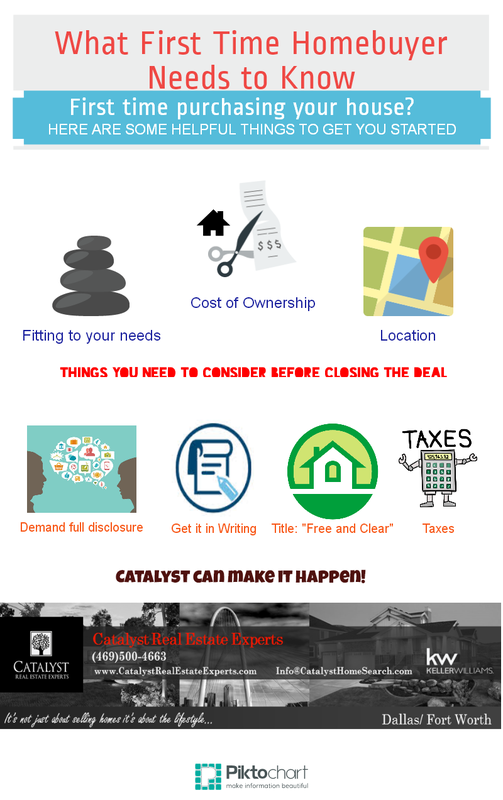 It is imperative for a homeowner to look at his finances closely. As a first time buyer, one must not only consider the monthly mortgage payment but including expenses that might come along as you purchase your home. Additional expenses such as utilities, property taxes, repairs, homeowner’s association fees and your lawn maintenance will have to be added. Do you still have an extra cash to accommodate all of these? Other things to consider before moving is the cost of living in that place you wish to transfer? Daily expenses should also be taken in to consideration. Where is it located? Does it have a good neighborhood? Or does it have a good lightning during night time? These are some matters you need to consider first before finally purchasing your home. Most states in the US would require a home seller to fully disclose the condition of the property they want to purchase. Such disclosure needed are the areas that would need repair, however some homeowner may not always reveal to the clients about the structural problems found at the house. It would also be better to contact a home inspector to save you up from all those future expenses on house repairs. It is important to safeguard yourself from every commitment you’ll have after purchasing your home. It is best to have every part of your transaction/agreement in writing. Don’t forget the paperwork for your annual federal or state income tax return. You can regularly deduct the property taxes, points and interest paid on a mortgage. Or you can set up a consultation with a tax accountant to learn more about the limits on these types of deductions. British designer Thomas Heatherwick has been addressed as a genius, even being called by Paul Goldberger in The New Yorker “the next Leonardo da Vinci” for the exceptionally inventive nature of his work. FREE with paid admission: Adults $10. Seniors $7. Students $5. FREE for Members and children 12 and under. Seating is limited. Reservations requested. Join Dallas Observer on Saturday, September 13th as we party the 4th Annual Dallas Observer BrewFest offered by Whole Foods Market. BrewFest is an outdoor beer-sampling event and festival that will feature over 150 beers from around the globe, local food vendors and live music! Twelve (2oz) beer samples are included in the ticket price. Doors open at 6:00 for VIP and 7:00 for General Admission. 21+ ONLY Tickets On Sale NOW. VIP Ticket includes: 12 – 2 oz. Beer Samplings from 150+ Beer Options PLUS Early Entry into Event one hour earlier at 6:00, access to VIP Area with liquor sampling and exclusive catered food. All Tickets Include: 12 – 2 oz. Beer Samplings, with additional sampling cards available for purchase at the event and Live Music Watch last year’s BrewFest Video BrewFest 2014 is brought to You By: Whole Foods Market, Sunstone Yoga, Fiat of McKinney All Guests must be 21+, with a Valid I.D. 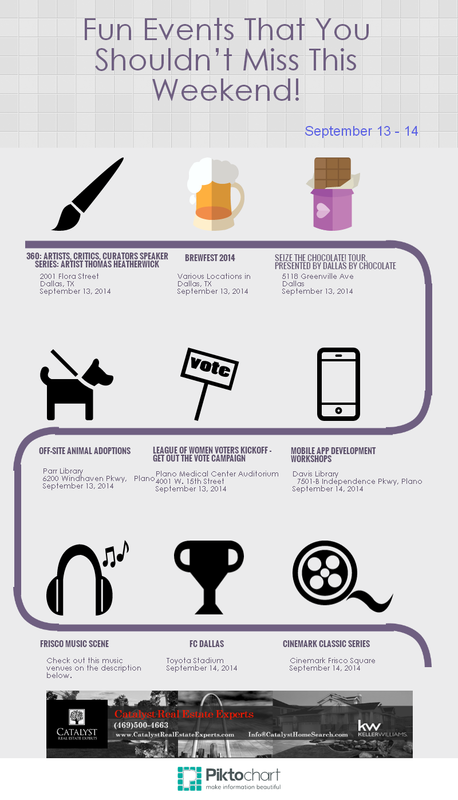 More Information at the website. No matter how you like to top your chocolate–dark, milk or white–you’ll love trying selections from the some of the top chocolate places in Dallas. These include Nib Chocolates at Bolsa Mercado, Dude, Sweet Chocolate, Village Baking Company, Annie’s Culinary Creations and Pokey O’s. Price includes transportation in a private bus, many food samples, great drinks and tour guide. Buy 4 or more tickets and save $4 per ticket. Enter code ICE. Come find your new best friend at our off-site adoption event at Parr Library. We’ll have pets available for adoption and an Animal Services Officer to answer any pet-related questions you may have. Please join us for this event. Sharon Rowe, Collin County Elections Administrator is the guest speaker. For information, please contact our President, Janice Schieffer, president@lwvcollin.org or please see our web site, http://www.lwvcollin.org. 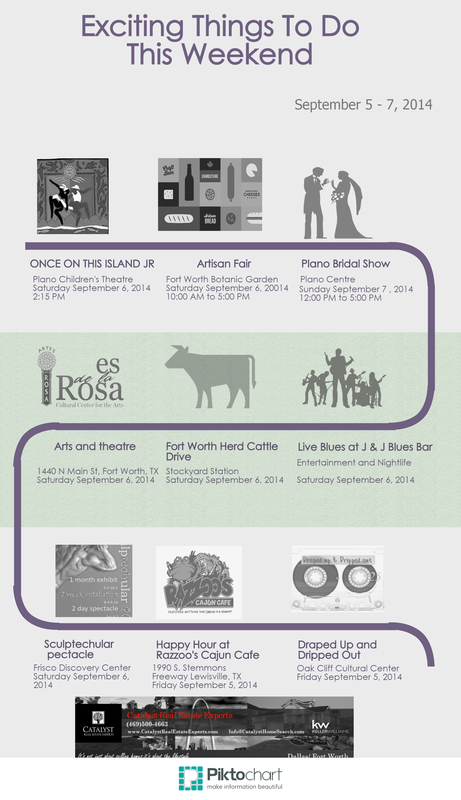 Checkout the Music Venues in Frisco! Most probably one of the most treasured and most practical purchases one can have is a home. In fact, it’s an investment. As you’re literally ‘investing’ much of your time and life earnings into one. However, there are also times when you have to say goodbye to those memories you’ve with your old home and make new ones with your new purchased home. Time allows you to move in order to purchase something valuable as a house. Therefore, time could also tell that it’s time to sell your home and make new memories in it. 1. Your kids are all grown up and it’s hard for you and your wife to have your own space at the house. 2. You have more spare rooms and bedroom house you wouldn’t need, your house is too big for you. 3. You often need to shuffle your cars each morning before you leave work, you would need a bigger garage to park. 4. You want to spend more time with your family than spending long hours driving from your home to work. 5. You would need a bigger space to organize your things. 6. You wanted a peaceful neighborhood where you can relax and get along with everyone. 7. Your subconscious is telling you to go look for a new house. 8. Unexpectedly, your grandparents found a great fortune and ask you to move to a bigger and nicer place. 9. You would need bigger space to keep your dogs. 10. Surprisingly, you get a lot of visits which also increased the number of times they needed to use your bathroom. Presently, many other homeowners feel stuck in their homes yet they don’t really understand the effect of waiting to sell and how it is affected by interest rates. Let’s say a couple is in a two hundred thousand dollar home and they want to wait until the market goes up 5 percent in order to get $210,000 because that’s where they can make ten thousand dollars. The trade-up home their looking at cost 350,000. If they apply that same five percent and that home is going to go up to 360,750, so instantly waiting for ten thousand dollars is going to cost them over seventeen thousand dollars. Now they’re already behind by waiting for the market to increase when trading up. The most essential thing is to look at the impacted interest rates. Let’s say the current home was acquired for two hundred thousand dollars and all of these numbers are based on 100 percent financing. So their current monthly payment for a thirty-year mortgage is $1,340 dollars. If they purchase their new home now for $350,000 at a 4 percent interest rate then their monthly payment is only going to be 1,670 dollars that only a $330 dollar-a-month increase for such a step in increasing their lifestyle possibly doubling the square footage of their home. Let’s say they wait for the market to return to a higher price or when the market goes up we know the economy is getting better. However, when economy gets better the FED is not going to subsidize the interest rate so seven-percent is probably even optimistic because traditionally and historically interest rates run about 10 percent. As for point of illustration lets say 7% what they’re getting right now their mortgage payments can be $2,444 dollars a month so first they lost. 17,500 just by waiting because the increase in their higher priced home is going to cost them $775 dollars a month more to live in that new home instead of three hundred thirty dollars a month. The Builder Move Up Program is especially suited for growing families that need more space to accommodate their evolving lifestyle. With the Builder Move Up Program, you’ll be able to buy your dream home, while saving thousands in commission dollars on the sale of your home. Old school work ethic with New school innovations! Did you pick “List and Pray that it Sells” Realtor? If you choose a good real estate agent, rest assured that he will do a lot to sell your home for the top $$$$ and for the shortest period of time. But…not every Realtor does the same things to market and sell your house. A lot of the Realtors prefer to do the bare minimum as long as they can get away with it. And the results are obvious: home is too long on the markets…no showings…no offers….no communication…and finally – house expires on the market! If you want to sell your home for the top dollar and in the timely manner please, avoid these type of Realtors. Instead, choose the Agent who is willing to put in the time and the effort it takes to sell you home. Good Realtor knows that just putting your home to the multiple listing services (MLS) is not going to do the job. A lot of realtors think they can get away with unprofessional photos…There is nothing that is more true in real estate sales than the famous saying ” a picture is worth a thousand words”. The photography on your home can make or break a sale. The truth is that most buyers will skip on home that does not look appealing online. They won;t even read about all the great features of your home if the pictures turn them off. It just ridiculous what can you see… from having only a few photos posted, to only exterior shots, to blurry photography, to something that looks like it has been shoot from a Polaroid camera. And the reality is this “great” marketing goes on daily in the real estate industry. The other common thing that does not attract buyers is the complete disregard of an effective and clear description and poor marketing materials. Many of the listing services give realtors an advantage by giving them the opportunity to post attractive descriptive words into the system. Descriptions are as important as photos and videos because they give a clear presentation of the beautiful features of the house, giving them a summary of what the house could offer. A bad realtor skips this process. They would instead call it a day and forget to offer a potential buyer some helpful marketing materials such as brochure and pamphlets. A successful realtor understands that marketing materials are great components to achieve profits and impressive results. When you see a well-designed brochure with a company logo, contact details and attractive images. You would automatically realize that your realtor has taken some time to think about the marketing structure of selling the house. He also clearly understands that advertising is the key part of modern business. An open house is the best way of presenting a house for sale. Hosting a successful open house requires great conversation, some wit and nice sense of humor. It is also great to know what the buyer thinks about the home. During the process, a good agent keeps you updated and gives you feedbacks. He would always spend some time out of their busy schedules to call you and inform you of any issues, corrections and major changes that might affect your financial status. Online marketing is one of the most useful and effective marketing strategy. Advertising your home to people through different search engines is a great and a fast way of doing business. As long as your website ranks well on major search lists like Google and Yahoo and belongs to a well-known database, it could be a good exposure. However, if you place your ads on search engines which are rarely visited by people, your marketing strategy clearly did not serve its purpose. Blogs, just like any great looking website could also serve as effective advertisements. When a realtor creates blogs and posts them on a regular basis, it helps people know your knowledge and expertise and would be eager to trust your career-related experiences. With social media having a great influence on our day to day living, it makes sense that a good realtor is active in every famous social media channels like Facebook, Twitter, Pinterest, Google Plus and Instagram. Connecting with people is very powerful and is a great way of advertising an open house. Thus, a good marketing specialist who knows how to utilize these famous channels attracts lots of buyers for your home. Take a look at examples of photos and videos of houses they have currently listed for sale. Take a look at their listing descriptions. Observe how a realtor communicates and gives feedbacks. Take a look at the agent’s websites and see if they provide detailed information. Find a blog that has been written by the Realtor and check out the contents. If you are keen in doing these things, you are on your way to hiring a good realtor who is an expert in marketing strategy. One last thing, keep in mind that a good realtor always has a minimum rate.